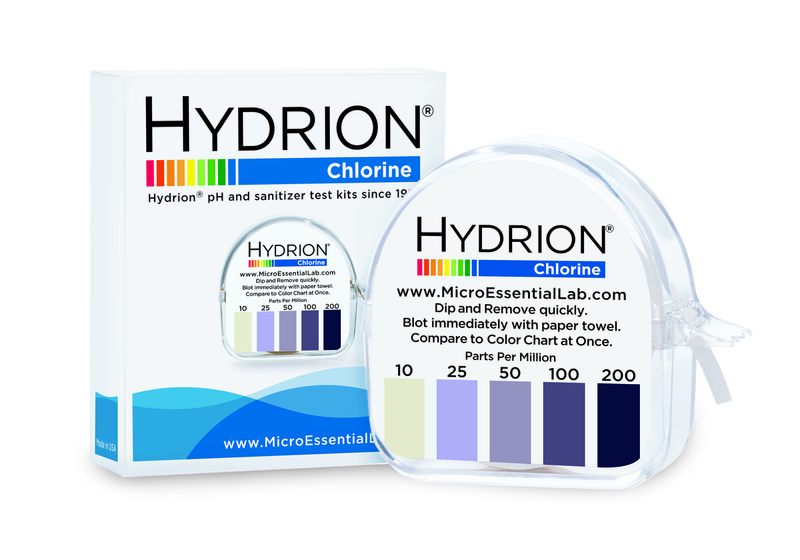 Hydrion Chlorine Test Paper provides a simple, reliable, and economical means to measure the concentration of free available chlorine in sanitizing solutions. With color matches at 10-25-50-100-200ppm, the test paper measures concentrations between 10-200ppm. Federal, State and Local health regulations require users of chlorine-based sanitizer solutions to have appropriate test kits available to verify the strength of sanitizer solutions. Sanitizer solutions are essential in the food service industry to ensure that sanitizers are at the proper concentration specified by the individual manufacturer. 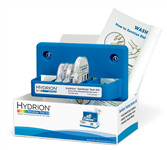 Each carton contains 10 kits, each consisting of a 15-foot roll of test paper and matching color chart, plus 1 additional refill roll. Provides for approximately 2000 tests. CM-240 Flyer avalable for download. 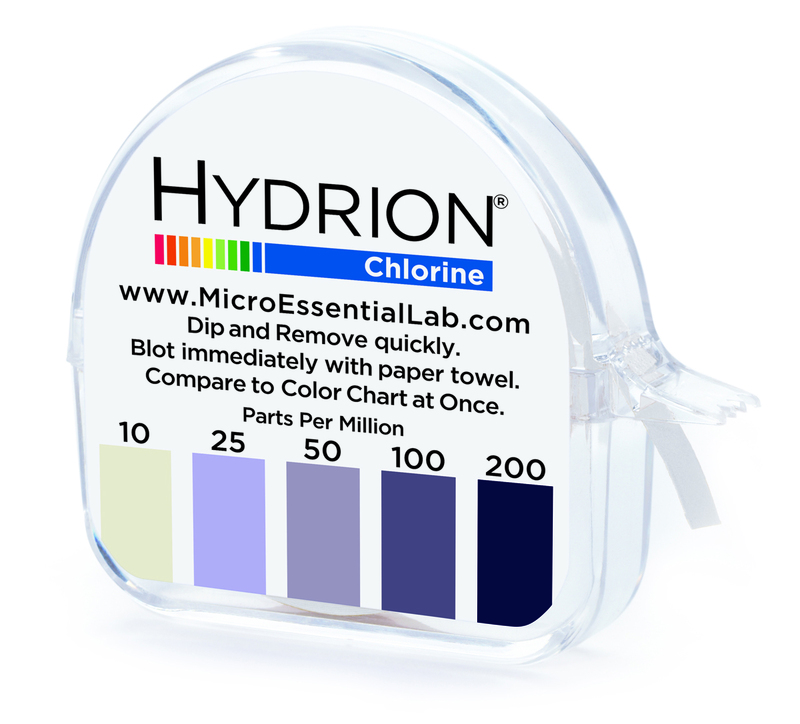 Dip the strip into the sanitizing solution,blot with paper towel, then instantly compare the resulting color with the enclosed color chart which matches chlorine concentrations of 10-50-100-200ppm.